Úbiqa carries out participative communication and social narrative projects in which we make available to citizens tools to generate content and to offer their vision of reality through processes, narratives and audiovisual, interactive and participative platforms. 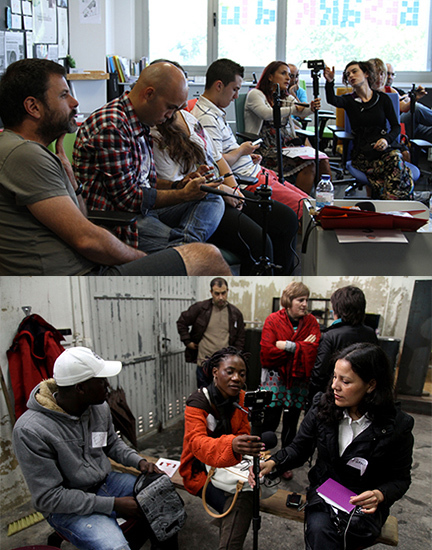 The projects are materialised through media and digital literacy workshops using mobile telephones as recording tools. Within the prominent activities or work formats we have a notable project which is Identibuzz.